Tibet is one of the most traditional Chinese regions that in the recent years is trying to transform and adapt to modern standards of living. This transition from an agricultural past to the more urban present has always been a key subject in Pema Tseden’s work. Tibetan director, author and screenwriter became well known with his debut feature film The Silent Holy Stone (2005) and later gained international acknowledge with his third feature Old Dog (2011) that competed at Locarno. His fourth film Tharlo is an adaptation of his own book and participates in the Orizzonti competition section at the 72nd Venice Film Festival. 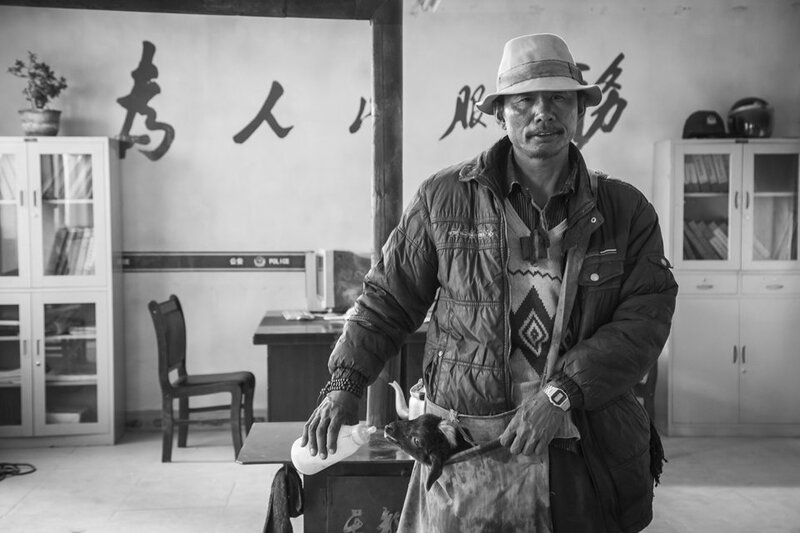 Tharlo (Shide Nyima), who works for his entire life as shepherd in the mountains, visits Tibetan capital Lasha in order to issue for the first time an ID card and he carries in his satchel a baby lamb. He is in his forties but despite his excellent memory he knows so little about himself. He doesn’t even respond to his real name as everyone calls him Ponytail due to his hairstyle. His life is quite secluded and he is almost never in the city. Due to his harsh appearance he must visit a barbershop in order to be properly ready for the ID photograph. 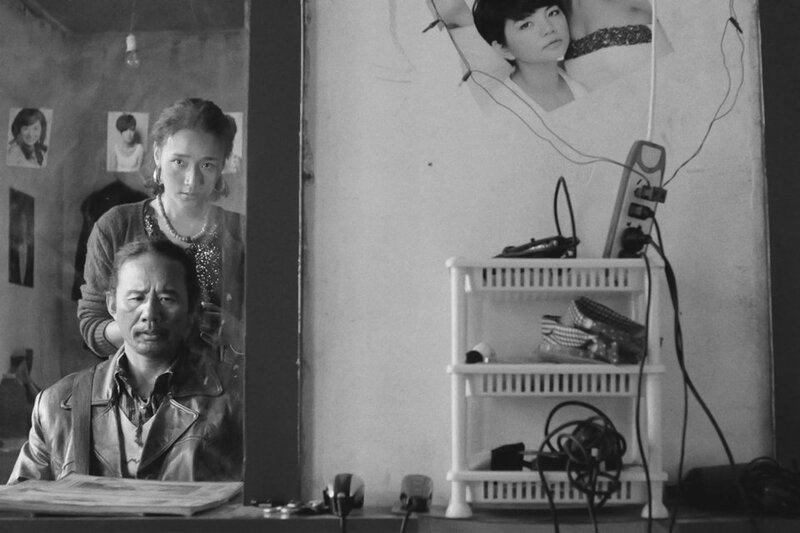 There he meets Yangtso (Yangshik Tso), a young hairdresser who will immediately capture his attention. He will disclose to her a lot of personal details, including his herd’s value. From that moment, Yangtso seems extremely interested to Tharlo too. This meeting will change his entire life. Pema Tseden with this film tries to touch in a more realistic and sometimes even poetic way a process that his hero can’t really explain. Through the character of Tharlo/Ponytail – who is exemplary portrayed by stage actor, poet and musician Shide Nyima – the director depicts a current generation of Tibetans that are struggling to adapt. His hero who is divided between the city and the nature, like the film is, tries to balance his life with some new unexpected and most importantly unknown challenges. At the beginning of the film he will ask the police officer so to avoid to issue an ID card, “I know who I am. Isn’t that enough?” During this abrupt process he will understand that he doesn’t really know and he must find out who really is and how he can be present in today’s world. An ID card is utterly used as an excuse to discover his hidden and true identity that has never revealed to anyone not even himself. For the first time he must be open and change and through this experience he cannot be anymore Ponytail, he should inevitably become Tharlo. Tharlo is a Spartan almost rugged and minimalistic film, exactly like the Tibetan landscape. Lu Songye’s black and white cinematography enhances this feeling of lost space and the research of a new identity that the protagonist is experiencing. As the film takes place both in the city and the mountains Tharlo is always present but apparently he feels out of focus and he always seem isolated and removed from each environment. He is a stranger to everyone and he doesn’t feel part of any place anymore. The journey to his inner self is not as simple as he thought that it could be. His loneliness now isn’t just sentimental, he is actually losing everything and for that reason he must find a way to escape. The problem is that he doesn’t know the right direction. It is always difficult to abandon your remote kingdom and try to find something new. Pema Tseden succeeds through this realistically lyrical and visually immaculate film to transfer this slow burning procedure that can captivate the viewer. Tharlo carries all the necessary emotions that could transform and soften even a theoretical boorish shepherd.